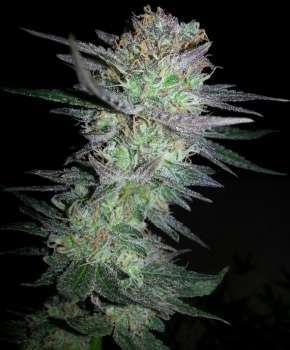 Here you can find a strain description about Girl Scout Cookies and also some user-based reviews and infos directly from the SeedFinder (if available). You can also find the offers and auctions here if Girl Scout Cookies cannabis seeds are on stock at MyCannapot right now. The Girl Scout Cookies strain (Durban Poison x OG Kush) is bona fide high-quality cannabis strain. It is without a doubt the best Californian strain of all time because who doesn’t like Girl Scout Cookies. Currently, Girl Scout Cookies has millions of fans all over the United States, and is now going strong in Europe and Asia. Due to our obsession with the cookies, we decided to add it to our menu in feminized form. It is an Indica dominant hybrid (about 60%) and the rest Sativa. This plant presents a very undemanding crop, but like the art of baking cookies requires time and attention. Your childhood wishes have all finally came true: cookies now do grow on trees. Overall, our GSC stands out as one of the brightest and most exotic varieties up to date. A true masterpiece! Want a cookie? is excellent meds for stress, insomnia or nausea. Also good for PTSD. Flowering period is about 65 days. Girl Scout Cookies is not available at our shop at the moment!